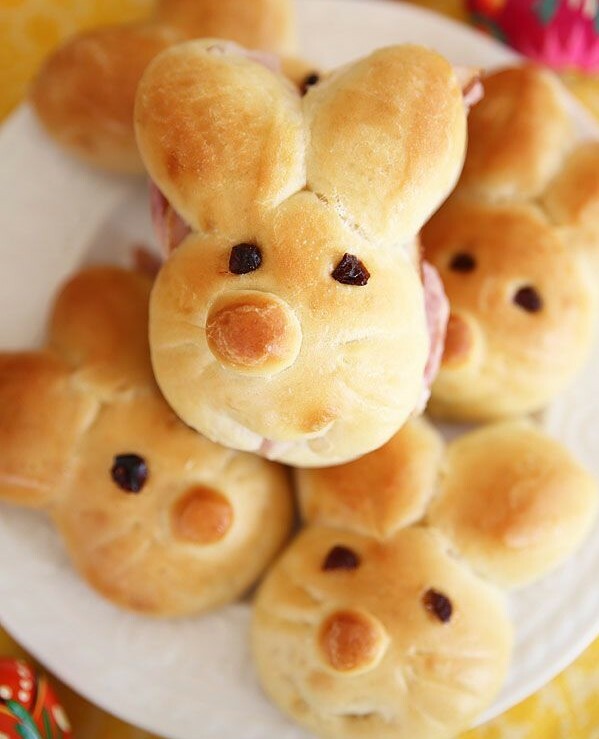 Your kids will love these cute bunny rolls! 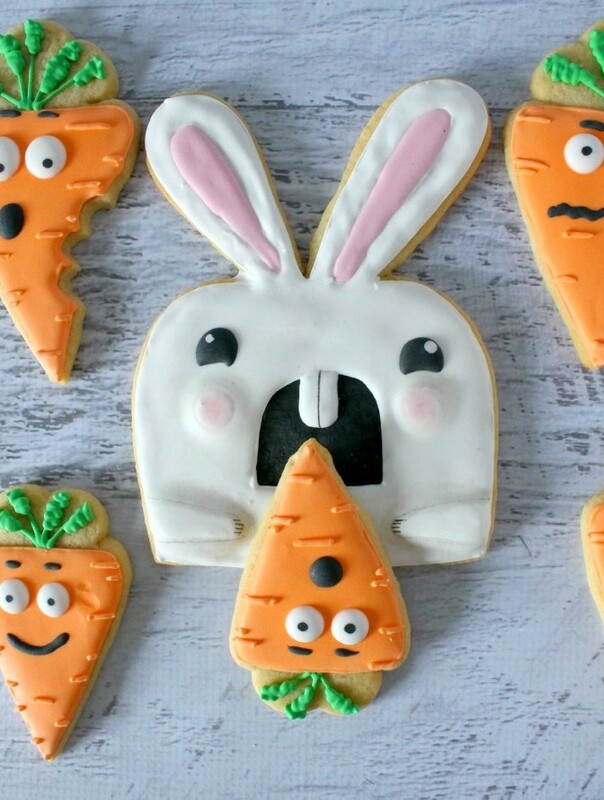 These cookies are hilarious – they made me laugh! I love the expressions on the carrots. 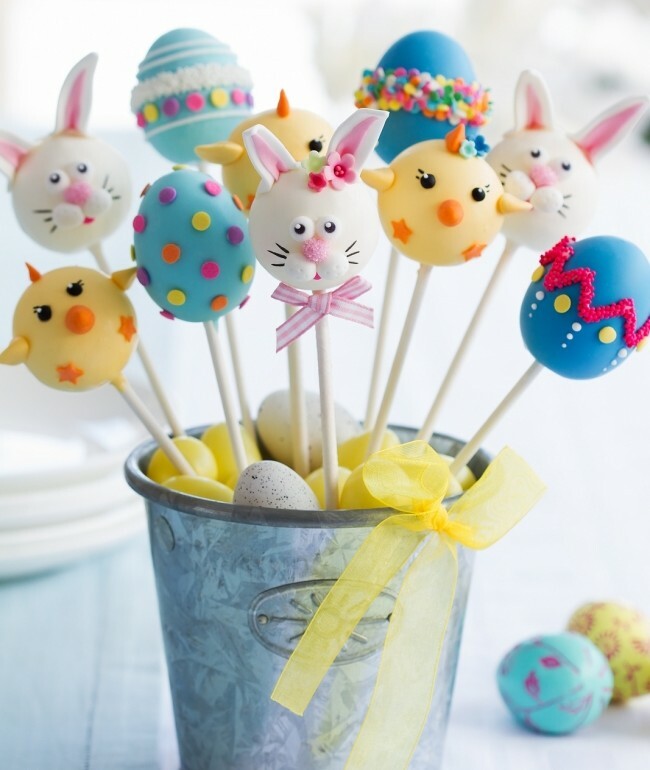 These gorgeous cake pops would make such a beautiful centrepiece for your Easter celebration. 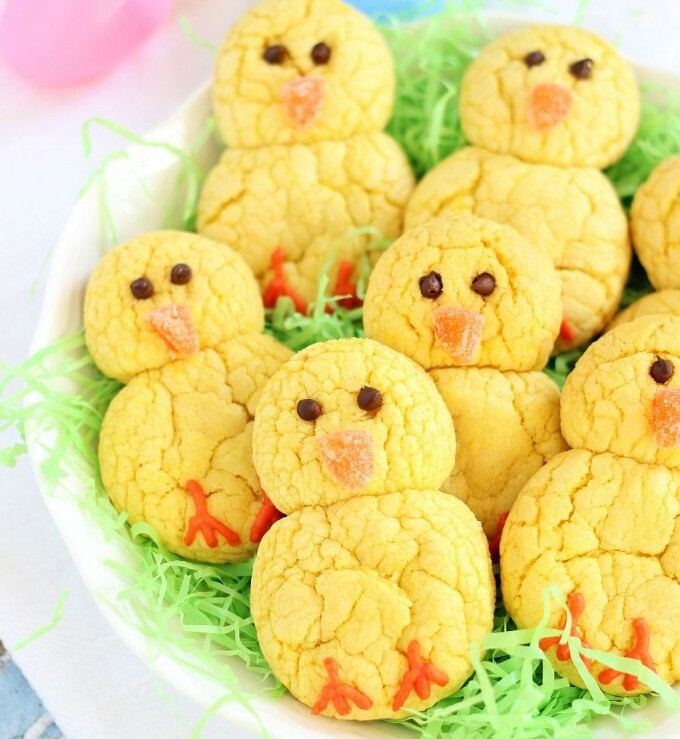 Make a batch of these lemon Easter chick cookies and watch them disappear! 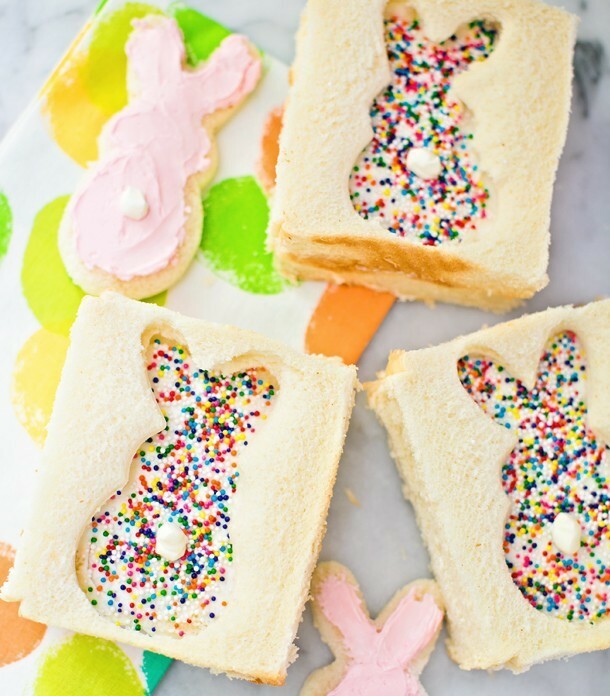 Using a rabbit shaped cookie cutter, try this simple and effective idea of cutting out a window in this fairy bread sandwich. 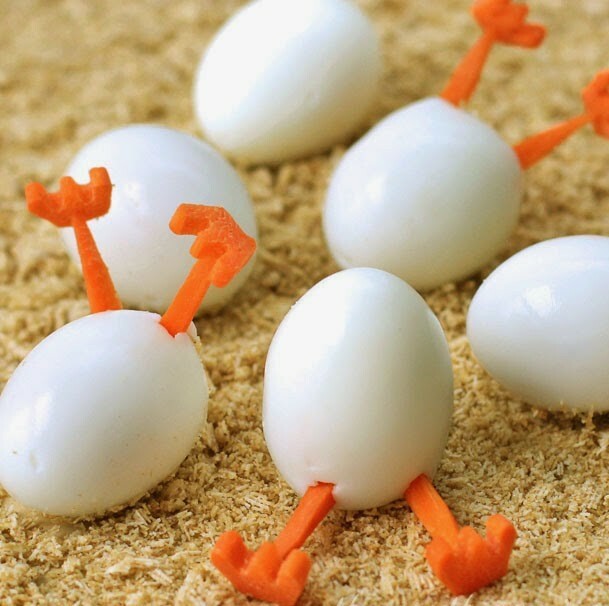 How adorable are these hatching eggs! 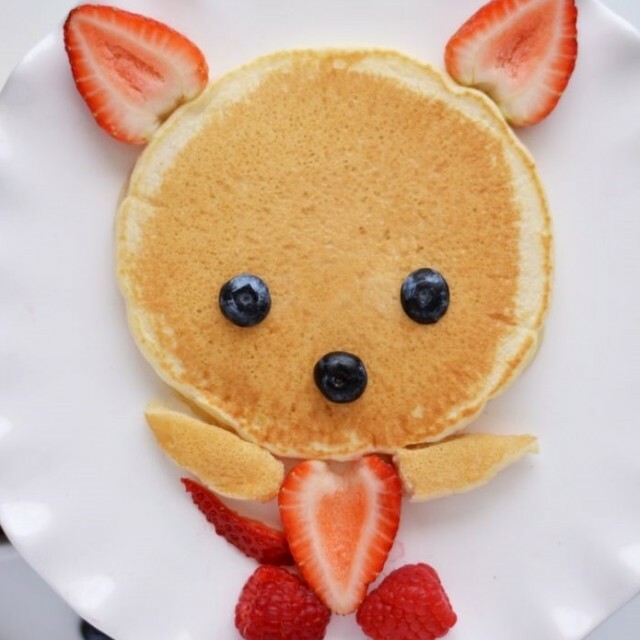 A cute idea for those who love food art! 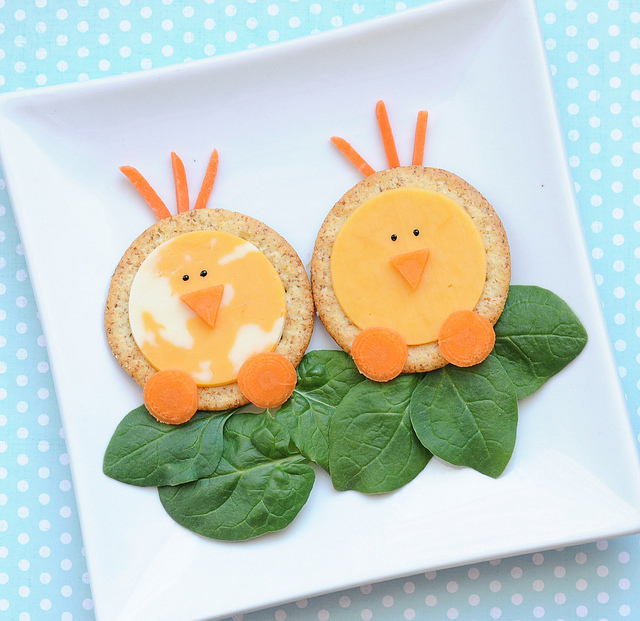 These cheese and cracker chicks will be a hit with the kids. 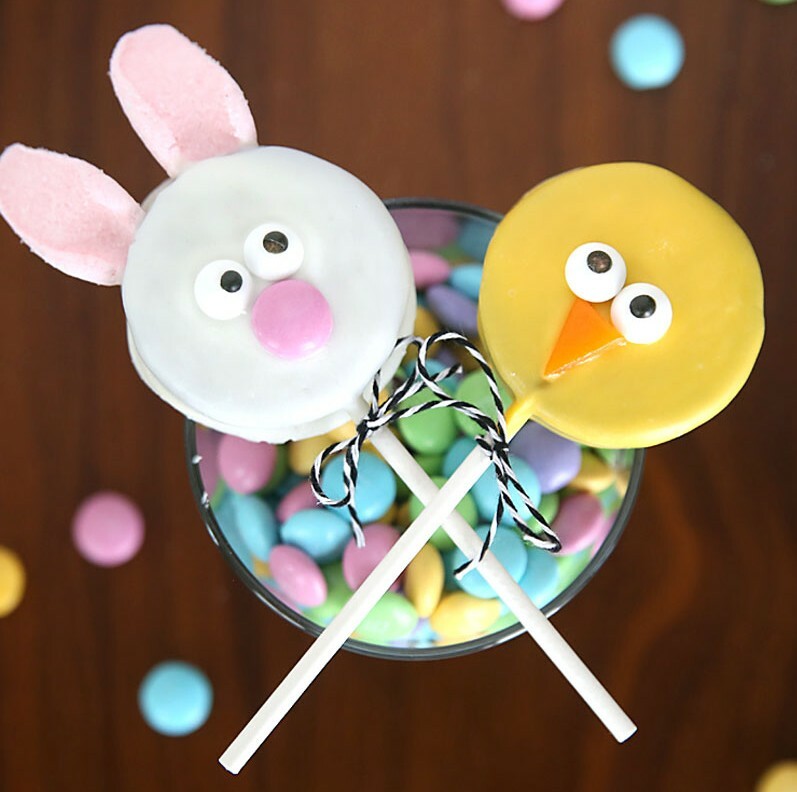 Oreo pops are so easy to make – dip Oreos into chocolate and decorate them with bunny and chick faces. 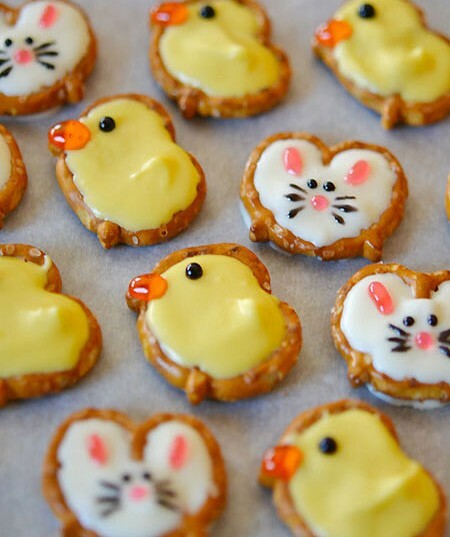 Easy to make, these pretzel chicks and bunnies might not last long. 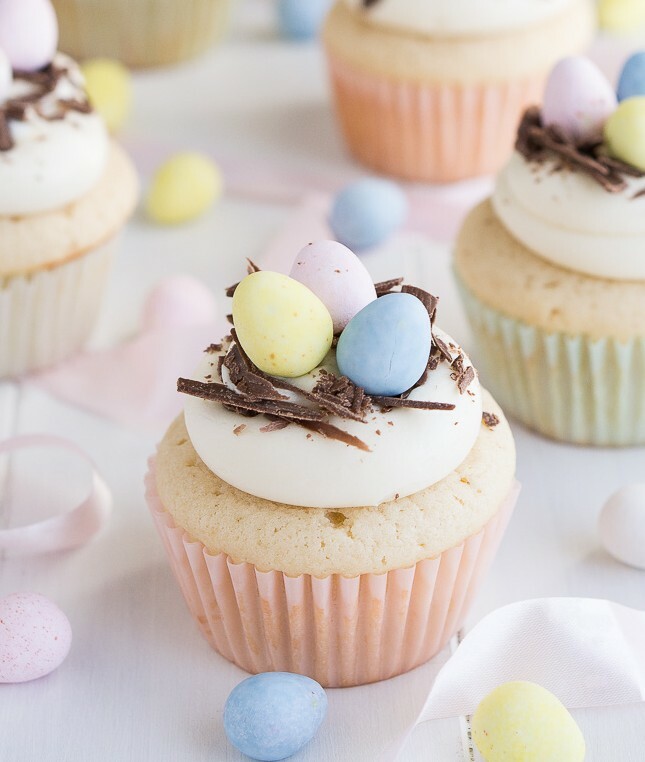 These Easter egg cupcakes are too perfect to eat! 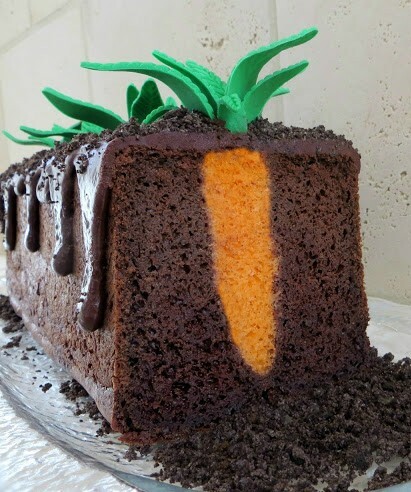 How clever is this carrot cake! Puts another meaning on asking for some carrot cake! 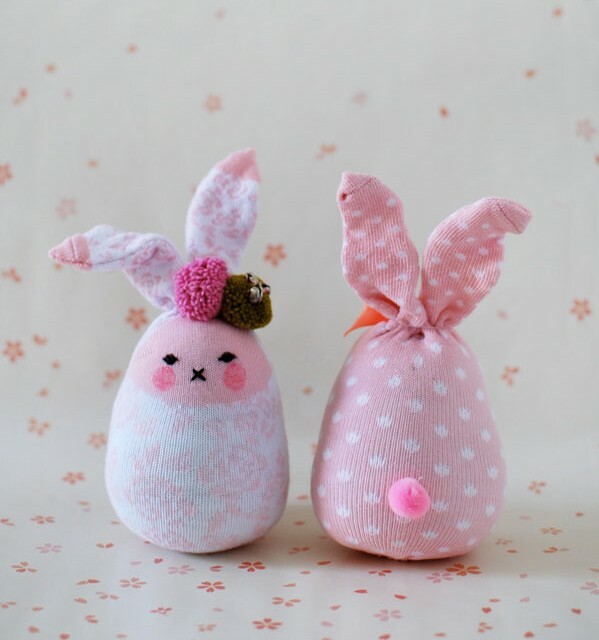 Do you leave any goodies for the Easter Rabbit? 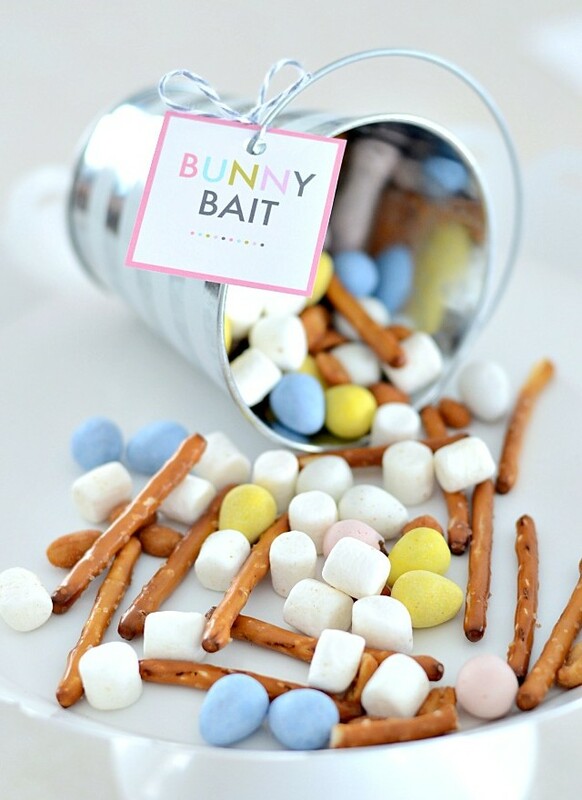 Your little ones will love helping you put together some bunny bait. 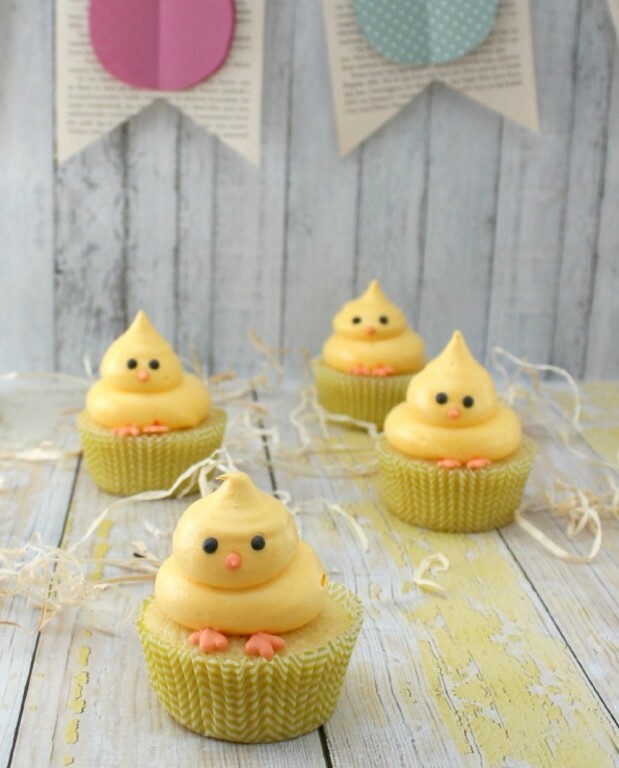 I love how these Easter chick cupcakes are slightly different and take on a different personality! 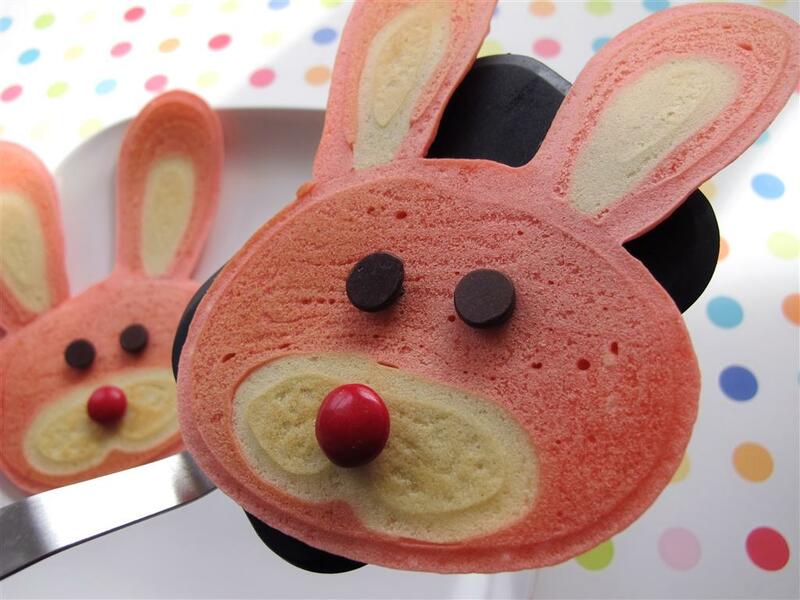 Some bunny will love you very much for serving bunny pancakes for Easter breakfast. Growing up in the 80’s, one of my fondest memories is deviled eggs! 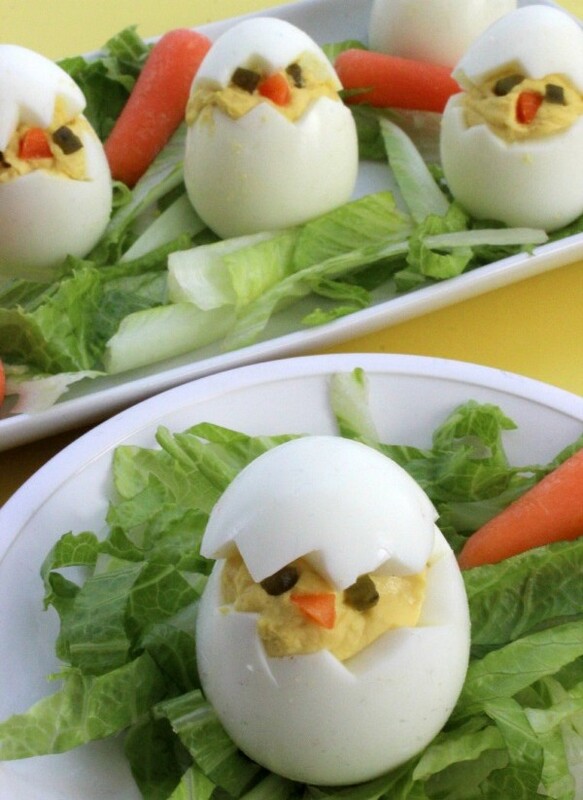 These little chick deviled eggs look delicious! 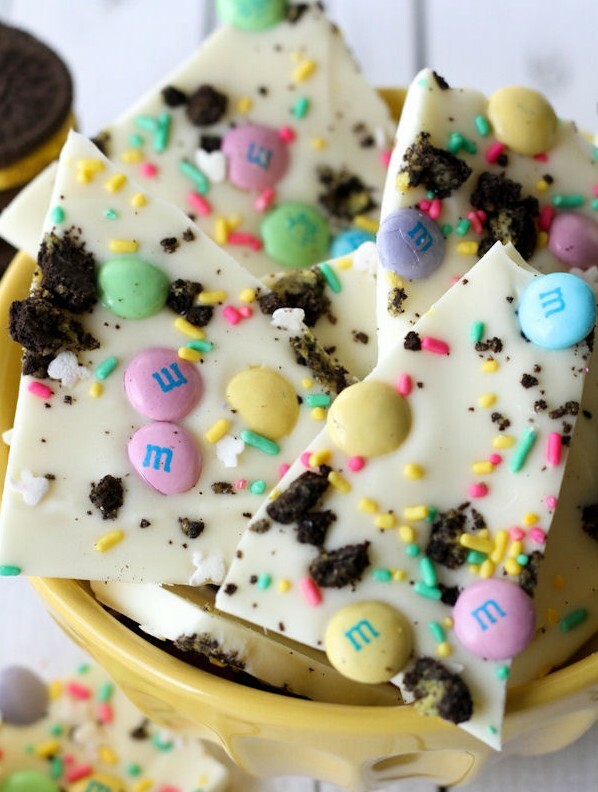 If you are a chocolate lover, you will love this Easter bark with white chocolate, milk chocolate and chocolate biscuit! Make this (slightly!) 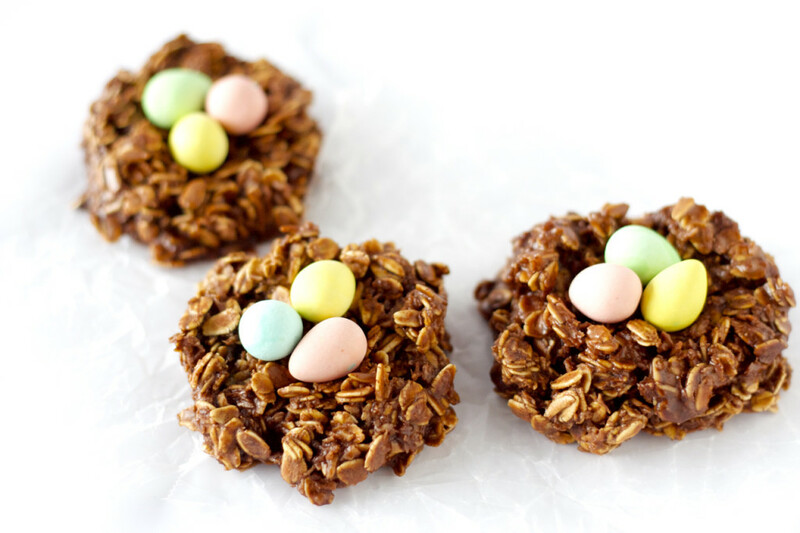 healthier version of an Easter nest using rolled oats and top with some candy coated Easter eggs. We hope you will enjoy this Easter using some of these ideas for your celebration. Happy Easter!